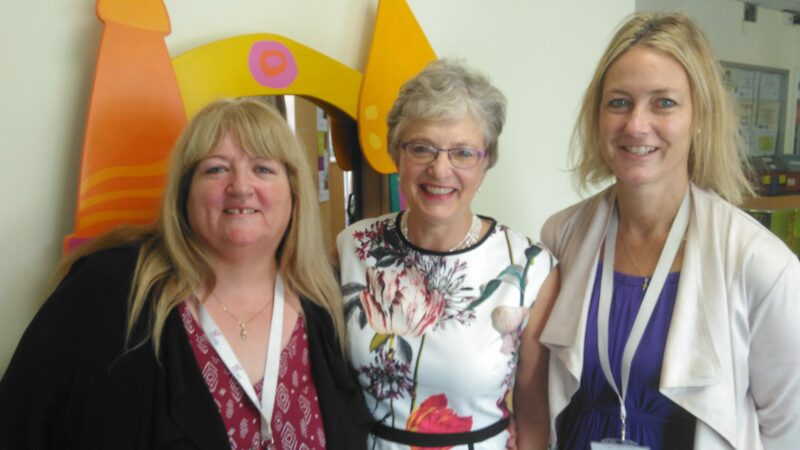 Pictured above:Minister Katherine Zappone with Anne Genockey and Maura McMahon during a recent visit to childcare services at Rainbow House, Jobstown. Accessible affordable quality childcare is a step closer for many families in Tallaght who cannot afford present services, according to Dublin South West TD and Independent Minister Katherine Zappone. The Children’s Minister will this week (Tues 24th Jan) bring legal proposals to Government which will give the go-ahead for a radical new approach to childcare which targets those who cannot afford it. Meanwhile Minister Zappone has also confirmed that the number of three and four-year olds accessing existing services has passed 100,000 for the first time ever. “For too many families in Tallaght and surrounding communities childcare is too expensive – this is unfair and wrong. As Minister I am progressing ambitious plans outlined in Budget 2017 to lift those barriers by bringing in a scheme which is fair and equal. This year I have secured an extra 35% in funding for early years services. I am now bringing proposals to Government which will put in place the laws allowing for our new approach. Two things will happen. First every child under three will get a subsidy up to €80 per month towards costs. Secondly we will bring in supports for children aged 6-months to 15-years based on household income – this will make childcare an option for all. Communities like those in Tallaght stand to benefit the most from the measures I am planning. Once the Government gives the green light I will immediately begin the process of bringing the laws into Leinster House so we can keep momentum and make this a reality as soon as possible. Meanwhile I am delighted to confirm that following the extension of existing services which I launched in Tallaght last September – there are now over 100,000 three and four years old availing of free childcare.